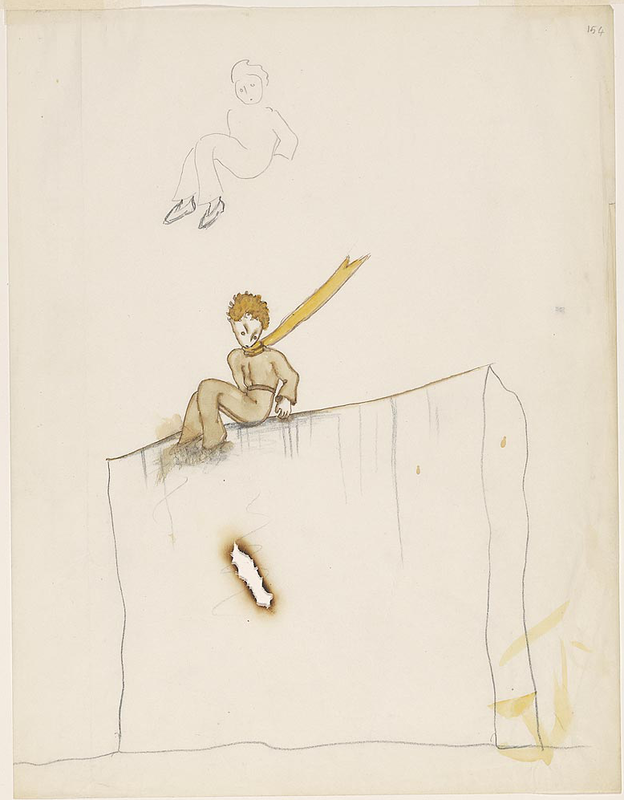 From January 24 through April 27, 2014, The Morgan Library and Museum is staging an exhibition on Antoine de Saint-Exupéry's The Little Prince, a story that speaks to the hearts and minds of children and adults alike. Though Saint-Exupéry was French, he wrote and published his great tale while living in New York City in 1943. Twenty five years later, in 1968, the Morgan acquired the original manuscript, which is now on display. 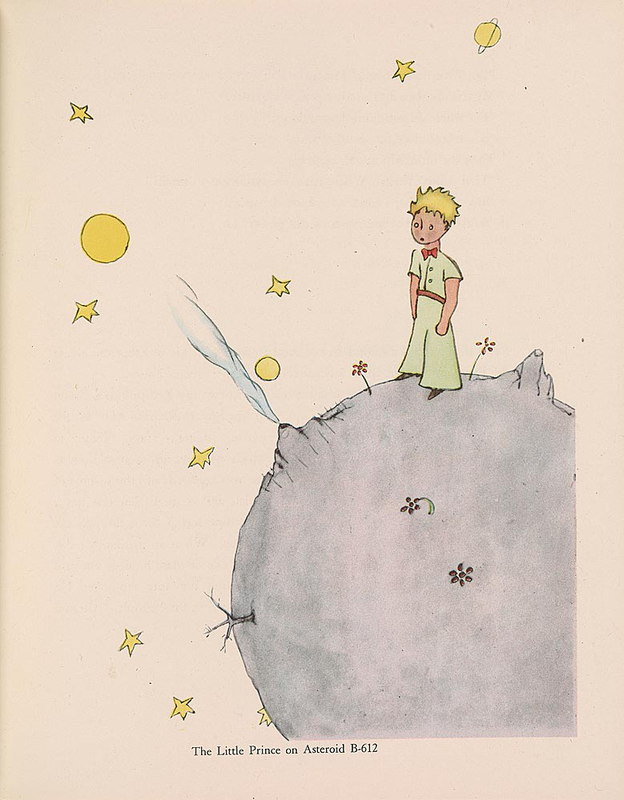 If you can't travel to New York, you can virtually pore over ten original illustrations from Le Petit Prince online. We'd recommend clicking here, and then clicking on the Full Screen icon in the bottom right-hand side of the first illustration you see. Then start flipping through the pages and enjoy. As the Morgan notes, the pages are "replete with crossed-out words, cigarette burns, and coffee stains." You'll find one such burn on the illustration immediately above.